Ridgiduct is a twinwall cable protection system, specifically engineered to provide a light yet robust alternative to conventional cable protection. It has been specifically designed for applications including power, motorway communications, lighting and utilities. 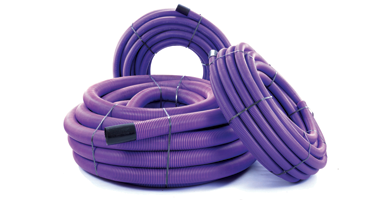 In addition to Ridgiduct, we also offer Polyduct cable protection, a none twinwall system, for power and lighting. Manufactured from HDPE and polypropylene (in the case of Ridgiduct Power HV), Ridgiduct is stiff yet flexible, and its twin-wall structure easily outperforms alternative products.